At The Rim: Parents forced to pay £6,000 to learn to BSL. The huge costs of teaching sign language, not only to children but their parents. Why doesn't the welsh BDA help them? They appear advocates of sign and culture but unwilling to help the parents with a deaf child unless they get paid too. Why the assumption their child will only be able to sign? There ARE other options and assists. Parents of a deaf four-month-old have to pay £6,000 for sign language classes if they want to communicate with her. Ros and Josh Hannam's daughter Lola was diagnosed shortly after she was born. Although they had some support from Monmouthshire council, the couple from Caldicot will have to pay for British Sign Language (BSL) classes themselves. Mrs Hannam said people found it "ridiculous" when she told them they had to pay. The Welsh Government said it would review BSL funding. "I think the first thing we felt [after Lola was diagnosed] was probably devastation," Mrs Hannam said. "She was going to have extra requirements and extra needs that we weren't anticipating. "I think once we got over the initial devastation, it was about what can we do to make this good?" 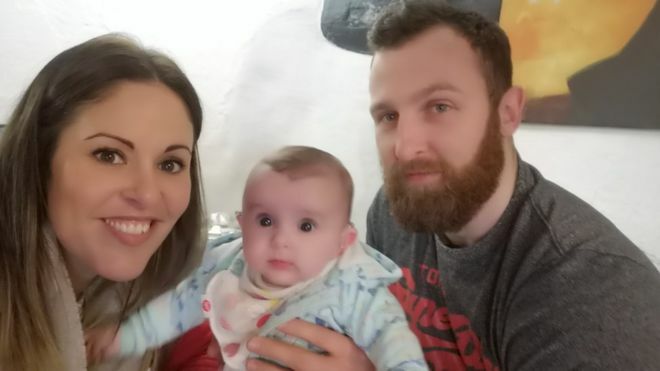 The couple got some basic language support through the council's Sensory Communication Service, but how much parents have to pay towards BSL classes depends on where they live. Some get it for free, but others have to foot the full cost themselves.